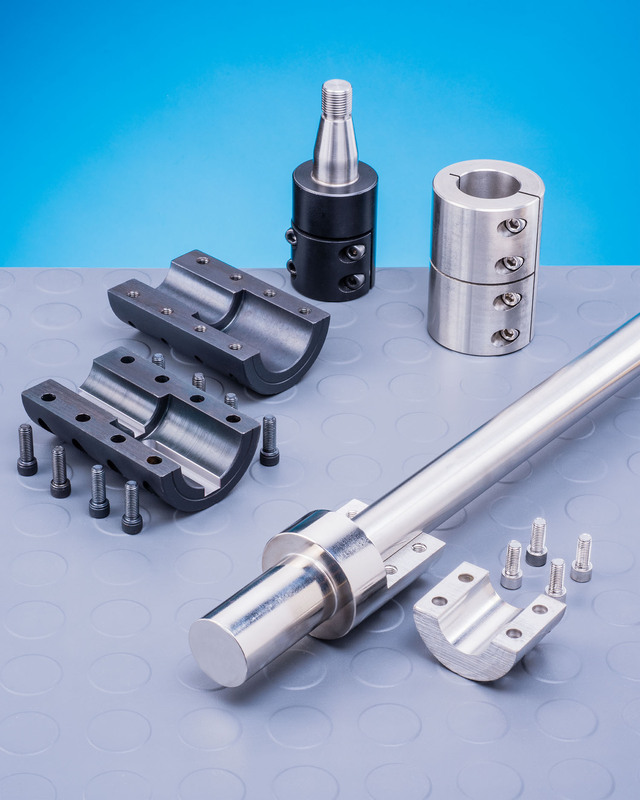 A full line of rigid shaft couplings and shaft adapters for OEM and MRO applications requiring the mating of different types of shafts is available from Stafford Manufacturing Corp. of Wilmington, Massachusetts. Stafford Rigid Shaft Couplings & Shaft Adapters are designed to join shafts of different sizes and configurations, extend shafts, and provide different mating options. Allowing drive system modifications without the need for major redesigns and replacement shafts, they are available in a variety of configurations made from steel, stainless steel, aluminum, and brass. Suitable for use with pumps, mixers, packaging machinery, conveyors, and related equipment, Stafford Rigid Shaft Couplings are available in one-, two-, and three-piece designs with or without keyways. The shaft Adapters are offered in step-up and -down configurations with or without keyways and shaft extensions can be round, square, hex, D, threaded, keyed, and tapered. Stafford Rigid Shaft Couplings & Shaft Adapters are priced according to configuration, material, size, and quantity. Price quotations are available upon request.